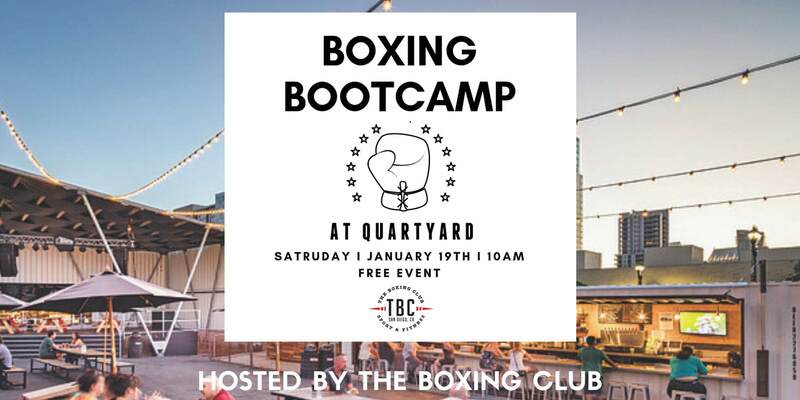 Join us at YOUR CITY BLOCK for a killer boxing bootcamp class hosted by The Boxing Club and Quartyard! Let’s celebrate the start of the new year with a great 60 minute boxing workout! This class will be for all levels, no experience necessary. Gloves will be provided, but if you have your own please bring them! Prepare for fun, fresh air, and sweat!